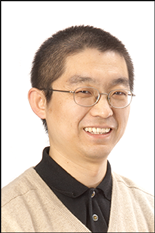 On April 8, 2017, Professor Gang Qu (ECE/ISR) delivered a keynote speech on “How Hardware are Made Insecure and Untrusted” at the 26th IEEE Wireless and Optical Communication Conference (WOCC 2017) in Newark, New Jersey. WOCC is a prestigious annual event for the U.S. and the Asia-Pacific community in the field of telecommunications and networking. This year, the conference provided a unique opportunity to explore the leading areas of Wireless and Optical Communications Technologies, Future Network, Big Data, and Internet of Things (IoT). Network and system designers, as well as software engineers, have been building security protocols and solutions on given devices without serious consideration of the security and trustworthiness of those pieces of hardware. Qu’s talk increased awareness of hardware security and trust to the wireless and network communication community through the presentation of examples to show how hardware design engineers have made devices vulnerable to attacks such as power analysis, timing analysis, fault injection, and information leak from memory. The current design method was analyzed as well, which introduces backdoors in the design and makes hardware Trojan insertion possible. The talk concluded on a positive note with several hardware security primitives that can be used to enhance the security of networked systems, in particular the emerging Internet of Things applications.